Prime Minister Dr the Right Hon. Keith Mitchell, on Wednesday, 4 January, welcomed the Ambassador of the Russian Federation to Grenada, His Excellency Nikolay Smirnov. From the onset of the meeting, the new Ambassador indicated that the main purpose of his visit is to discuss bilateral issues, such as scholarships, training opportunities, debt relief, the establishment of a Diplomatic Mission of Grenada in the Russian Federation, and the signing of a new visa waiver agreement in the not too distant future between both countries. Hereunder is an overview of the cooperation meeting between Grenada and Russia and some of the topics discussed with the Ambassador. Ambassador Smirnov indicated that it is an opportune moment for the Government of Grenada to have a permanent diplomatic presence in Russia. He mentioned that this will enhance the relationship and position Grenada to maximise on a number of opportunities in the areas of Education, Tourism, Health and Energy. According to His Excellency, the Russian Federation has been offering scholarships to Grenada throughout the years, and continues to do so every year. For the academic year 2016/2017 — 9 state scholarships were offered to Grenada. For the academic year 2017/2018, the Russian Federation has also made several State scholarships available to Grenada. Ambassador Smirnov also mentioned that the Russian Government has also provided training to the Royal Grenada Police Force, in areas including incident site inspection fingerprinting identification; modern forms and methods of counteraction against terrorism and extremism; management of police units; counteraction against Illicit narcotic, psychotropic substance and their precursors; traffic and the organization of International cooperation of efficient units to combat economic crimes. Currently, there are two Grenadian police officers pursuing studies in the Russian Federation, and that number is expected to increase this year, including for short-term courses. The Ambassador highlighted that Grenada and the Russian Federation are now in discussions that are geared towards setting a date for the signing of a new Visa Waiver between the 2 countries in the not too distant future. Both countries have agreed on an MOU that would eliminate the need for a visa for holders of all passports — ordinary, official and diplomatic, up to a 90-day stay. 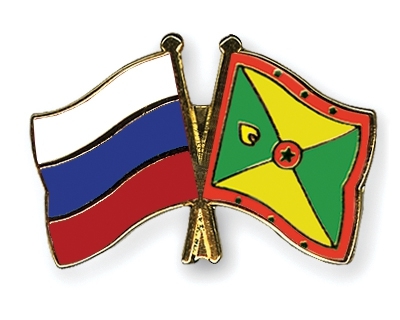 An agreement on the settlement of Grenada’s debt to the Russian Federation amounting to US$266,000 was signed on 19 November 2015, during the Paris Club meeting. The Ambassador indicated that there may be even further or total relief of the debt owed by Grenada. This issue will be followed-up by both accredited Missions for clarification and possible final settlement. For his part, Prime Minister Dr Keith Mitchell welcomed the new Ambassador to Grenada. The Prime Minister spoke of the possible benefits that opening a Diplomatic Mission of Grenada in the Russian Federation would bring to Grenada in meeting its developmental objectives through representation. It would also facilitate communication with potential investors wishing to come to Grenada. Prime Minister thanked the Ambassador for the available scholarships and indicated that he will like to see even more being made available in different disciplines that are consistent with the needs of our Grenadian people. He also indicated that the Government, through the Ministry of Education, will enhance the marketing of these scholarships to raise more awareness and accessibility. Prime Minister went on to mention of the training opportunities especially in the area of security. He said that training for members of the Royal Grenada Police Force is crucial in assisting the combating of various types of illegal activity. He indicated that there is a special need for assistance in forensic science training. Dr Mitchell expressed his overall pleasure at the potential Signing of the Visa Waiver Agreement, which, he said, will help create so many further opportunities and enhance the bilateral relations between the 2 countries. According to the Prime Minister, some of the critical benefits of the Visa Waiver will be the enhancement of the Tourism industry, and associated activities such as linkages in air travel; hassle-free travel for Grenadian nationals travelling to Russia to participate in short term courses and training; the facilitation of potential Russian investors traveling to Grenada, which will be an added boost to the CBI programme, among other visa-free travel opportunities for Grenadian nationals to the Russian Federation. At the conclusion of the meeting, the Prime Minister asked the Ambassador to convey greetings to the Government and People of the Russian Federation and expressed his hope that the relations between both countries would continue to strengthen for the New Year, and beyond. The Prime Minister indicated that the world will be a better place if all the countries worked together in peace while maintaining respect for each other’s system of Governance.